Most people agree there's nothing cuter than baby rabbits. However, how much do you really know about these adorable little critters? There's a lot of misconceptions out there about baby bunnies. For example, what do you do if you find a rabbit's nest? Should you touch or disturb the nest to make sure the babies are fine? If the mother is not around will the babies be okay? Since rabbits are pretty common, chances are you will eventually run across a baby or two at some point. If you have dense shrubs or bushes along your home or thick brush running along a wood line, there's probably a rabbit nest nearby. Taking a few minutes to learn a little about these cute and furry creatures may just save a baby bunnies life. The gestation period of a pregnant female (Doe) rabbit is 25-31 days. 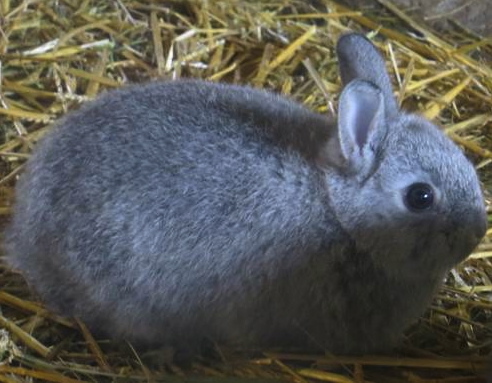 The pregnant rabbit will make a "nest" using grasses, soft materials and they'll even pull out their own hair to give birth on. A litter of baby rabbits known as "kitten" or "kits" can vary in number but they typically average about 7-8 kits. These kits are born hairless and with their eyes tightly closed. Mother rabbits do not stay with their litter to cuddle or nurture the babies like you would think. Therefore, the nest is very important for keeping the kits warm. A mother rabbit will typically feed the babies once or twice a day, usually once in the morning and once in the evening. She does not stay with the nest other than to feed. This is a defense mechanism to keep her scent and activity away from her babies so predators have a harder time finding the nest. The babies grow up very fast. At about 10 to 12 days the babies eyes will open and they will start looking for vegetation to eat to supplement the mother's milk. As the kits get around 3 or 4 weeks old they're considered juveniles and they will venture out of the nest. Venturing out of the nest is dangerous. People commonly see a cute little rabbit by their shrubs and think it's been abandoned and needs help. So…..they pick it up and take it inside. Next, it's put in a cardboard box and given milk from the local grocery store. Since captive babies have a 90 percent mortality rate, a baby rabbit taken indoors and held in captivity will most likely die. If you see a cute bunny in your yard or around your house leave it alone. The mother rabbit is probably around even though you don't see her. The juvenile bunny is just out exploring their surroundings and learning to forage for vegetation. What If You Pick Up A Baby? If you do pick up the baby bunny and take it inside to feed it, you can still take it back to where you found it. The rabbit will be able to find their nest and the mother rabbit will not abandon the baby even if she senses a foreign smell. I know it's hard to resist picking up and caring for a cute little bunny, but please resist the urge. In most cases, the bunny is completely fine and the mother is nearby. You're not helping the baby by taking it in. In fact, you're doing more damage than good.